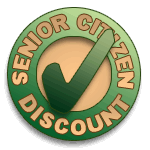 The guys showed up on time and were very professional and knowledgeable. They gave me several repair/upgrade options but didn’t try to pressure me into one option over another. I would use Precision Door in the future. I chose you because of 24/7 service, even though you could not come out Tuesday night. You answered the phone, other companies I called didn't answer their phones. Also, Gabriel was excellent, explained everything to me and was a top knotch repairman for garage doors. The coil springs on my double-wide garage door failed early on the morning of March 12. I went to the Yellow Pages and made what proved to be an excellent choice. They answered their phone at 6:00 a.m. and I made an appointment for between 8 and 10 a.m. Gabriel arrived at my home at around 9:15 and was finished with the work by 11 a.m. He also pointed out how rust had invaded many of the moving parts... The best $877 I ever spent!! Thanks!! Technician Gabriel called ahead that he was on his way and got to my house early! Great! He replaced the spring, rollers and lubed all necessary parts and was done in under an hour. Explained everything in detail how to lube the parts periodically. Very professional. I will definitely recommend Precision to anyone who needs garage door service. Service was same day. Gabriel explained what was needed. Gave me options & let me choose what was right for my budget. He showed me the completed job, had me try it to be sure I was ok with everything. Very pleased. 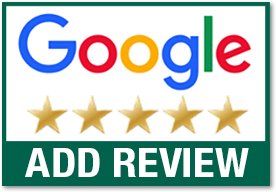 This was my first time using Precision, and I was very impressed with the uncommon customer service provided by Gabriel Rodriguez. He addressed my concerns and was expeditious but thorough with his work. Jesse Allen arrived on time and had all equipment to replace the broken garage door opener and then replaced the door rollers. They did a great job installing all equipment and setting codes. They cleaned up the area and hauled old parts away. They were very friendly and easy to work with. I would highly recommend them. I highly recommend using this company! I have absolutely no knowledge about garage doors and their staff was very honest and comforting. I called late on a Wednesday night after 7pm and they were able to come out as early as 830 the next morning. The swevicemen were very kind, professional, knowledagble, and quick! They did not try to oversell me anything and were very honest about the problems with our garage door. This was one of the best service experiences I have had in years as far as quickness/professionalism/affordability/kindness. I highly recommend this company. Wow! Where do I start with this review... first of all, highly rated online for service and quality of work for which I can attest to both. They came out to my home, examined the previous garage door and took extensive measurements to ensure a perfect fit for my new door. The gentleman (Jesse) came out to measure and installed the door with another team member and had my door ready in about 4 weeks. It took the team about 5 hours to make sure the door fit and operated flawlessly and gave me the run down on maintenance and operation. Would highly recommend you give these guys a call for anything to do with garage doors! I contacted Precision about reattaching the cables and rewinding the springs on my door. They were able to schedule me in a few hours. The technicians arrived on time, were polite and very informative explaining what they would do and what they could do if I was interested in upgrading my door. My door was back in operation in an hour to my satisfaction. I will not hesitate to use them again. The technician was knowledgeable, efficient and friendly. He analyzed the problem and made the repairs quickly. I would recommend Precision to a friend. Definitely will be a repeat customer. Tech was amazing. Loved him and wasn't going to leave until everything was working properly. 5 stars for sure. Nice professional guys. Did a very good job!!! I am thoroughly satisfied with the service I received today . My opener needed repaired-sensors and panel replaced replaced. Courteous technician, prompt service, great work. Thank you...wish I'd called sooner! Great crew! Friendly and Professional. Detailed explanation and discussion of options. Work was done quickly and efficiently. Will definitely call again or recommend. We called 4 different garage door repair companies. Precision quoted the cheapest price and was able to send someone out the same day. John was courteous and efficient. He had to upgrade the door spring but the final price still beat the competition. We're very happy with the price and the quality of the work done. Thanks John! Jonathan was very up front and honest. Very efficient in a timely manner. Was very pleased with the service. Will be using in the future. A spring on my heavy, double, extra tall garage door broke. I looked for highly rated garage door repair companies on the internet and found Precision Overhead Garage Door Service. I call and they were booked up for the day but scheduled an appointment for the next day with a two hour window. I received a message that Jonithan would be my service technician. He called and said he would arrive in 20 minutes, which was right at the start of the service window given. Jonithan arrived a prepared an estimate with good better and best options. I the end I chose the best option that included a lifetime warranty. Jonithan finished the work in about two hours and showed me the parts that he replaced and that the door worked smoothly. Both Jonithan and the person that scheduled the appointment were polite and professional and everything went smoothly. I highly recommend Precision Overhead Garage Door Services. This was a five star job. They came the same day, within the estimated time given, and called before arriving. The installer was professional and courteous. Would recommend this company to anyone. Five stars for such great service! Very nice guys who immediately saw the problem and fixed it at a very reasonable price! Highly recommend this company for any garage door repairs. My appointment wimdow was for 12-2. Jesse called and said he was running early and he showed up at 11:30. He was done by 12:30. He was friendly and efficient. He explained everything to me before and after. My garage door is quieter now then it has been for a long time. I would highly recommend you guys to everyone. Thank you. I chose Precision because they had the best recommendations on the internet. Our technician (Jesse) was friendly , efficient and knowledgeable. I give the process a five star rating. Job well done! Initially was annoyed because my appointment was scheduled 6-8pm on a Saturday and got a call around 330 pm that the tech was 40 minutes from my house because he had a big job to do and was trying to get to everyone else beforehand. While I appreciate that effort, I'm not spending my day waiting around for a tech especially when I had a scheduled appointment. Oh well, tech showed up around 11pm and was pretty awesome and pretty quick to get my repair done. Jesse did a great job and saved us a lot of money by fixing our old door opener so we didn’t have to replace it! Would definetly recommend this company. Jessie was awesome. Great service as always! Hello, I am not happy with their service and would not recommend them to anyone. The technician that came to my house was unprofessional and used unprofessional language. He tried to sell me things that I do not want. In the end I dd not let him do any work but still paid him for service call and than called another company. Travis did an excellent job replacing my springs, cable wires and rollers on my garage door. Was very nice and polite. 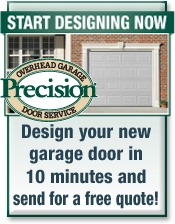 I would refer Precision to anyone that was having problems with their garage doors. Jessy did a fantastic job repairing my garage door system. He made sure each part worked as it was designed and even explained what he was doing and why. He was prompt, professional, knowledgeable, and very easy to work with. I highly recommend him.